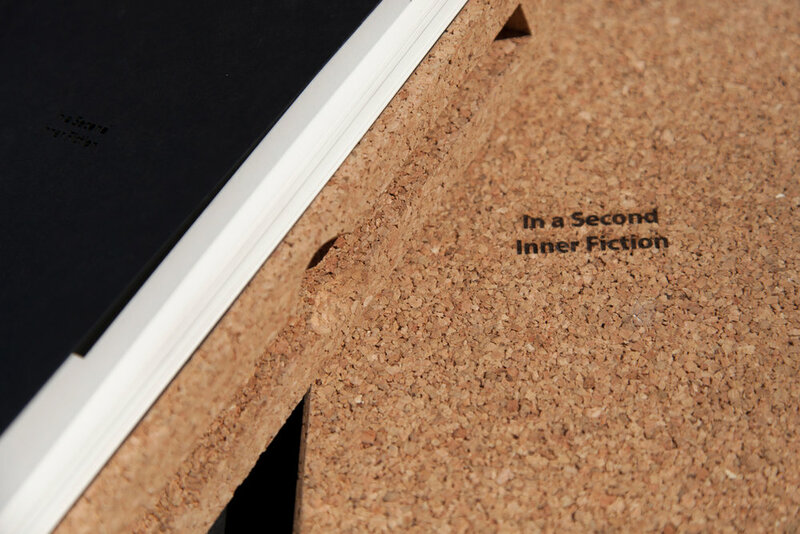 This cork slip case was made to house the book In a Second, Inner Fiction. The natural properties of cork reflect the theme of the project, the archival and preservation of spontaneous pictures taken by Wright's grandfather, whilst comparing them to his own within a single book. The books were exhibited at the Shenzhen Design Forum and Exhibition in 2016. 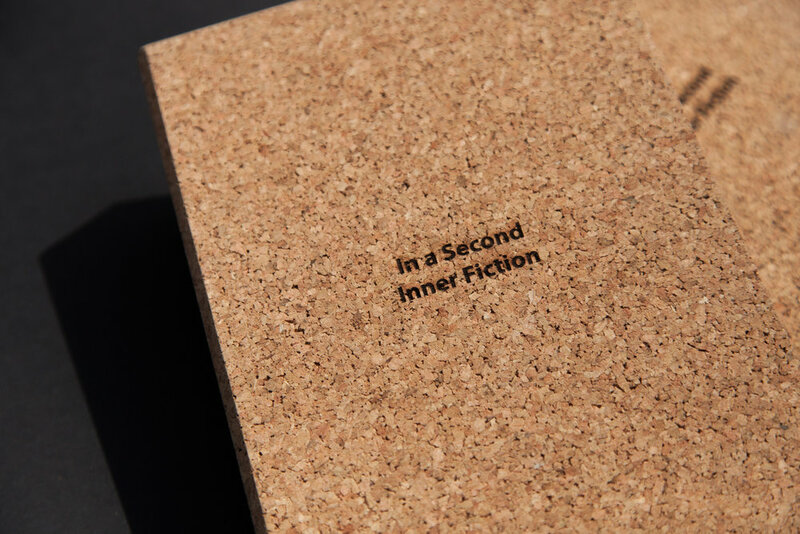 Mark Wright's description: The project In a Second, Inner Fiction explores the moments of clarity we all have in our lives. From the early stages of this project collating my Grandfather’s images, to the one-second fascinations while walking with a camera, moments of clarity, fuelled partly by memory, serve to enlighten us at undefined and unexplained times. The idea of a memory closely links to the idea of photography and our ability, and inability, to create our own narratives from images. Photography affords us the opportunity to suggest a story and for the viewer to collect and take the story further. Mark evolved into his practice through the understanding and belief that the meaning of the image exists within the viewer. He is interested in going beyond the conventionalism that surrounds photography, only wishing to suggest meaning and information. As a result, offering images that require the audience to invest and let their imagination and fictional memory create something for the individual.